Made from premium 8 ounce Oak Leaf leather. Laser engraved, handmade. 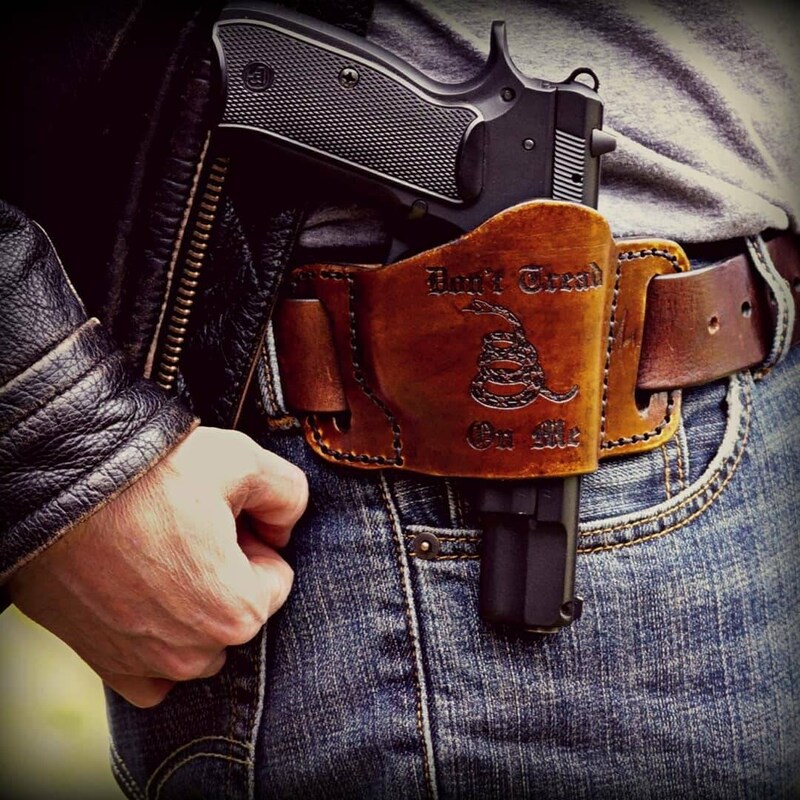 Very sturdy, and will conform to most full sized semi-auto pistols. 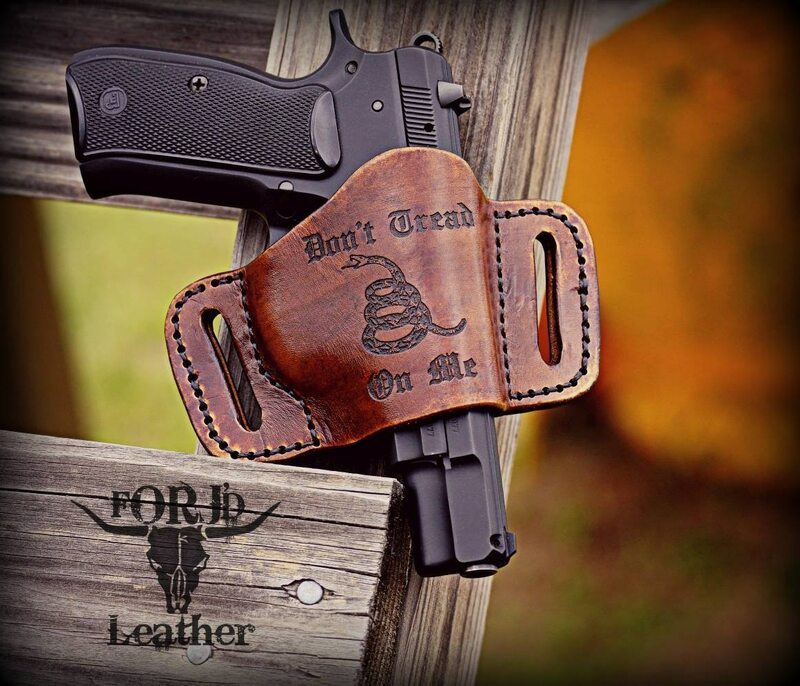 Comes engraved with the "Don't Tread On Me" shown in the picture but we can custom engrave your logo, quote, our image as well. Please leave a phone number when requesting custom engraving.